Hi guys! 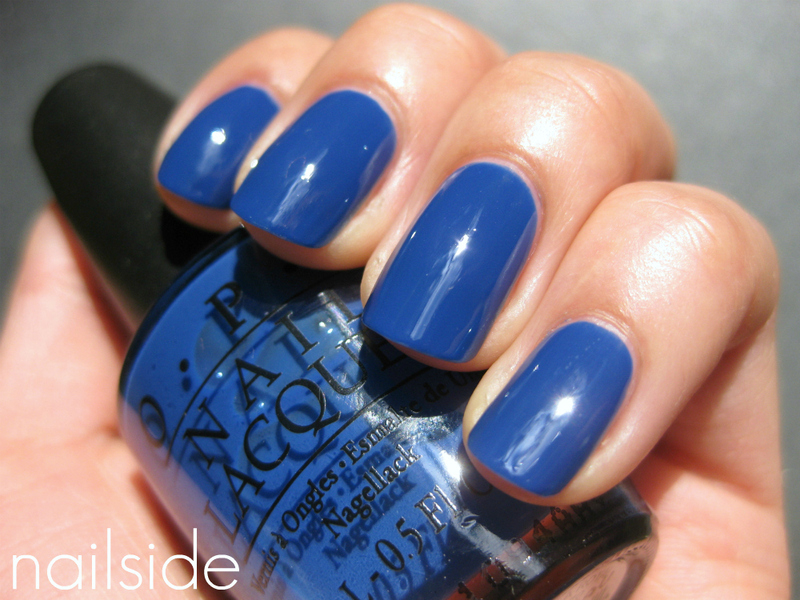 Today I'm wearing OPI Dating A Royal, a pretty royal blue creme which almost looks navy depending on the light. I probably didn't really need this color but I just love OPI's pro wide brush and most of the time their polishes have a great formula too. Together they make application flawless! So to me that was a good enough excuse to buy another blue creme :) Though some OPI polishes are quite sheer (I used three coats of Dating A Royal), the drying time is pleasantly short and besides, with a fast drying topcoat bad drying time doesn't have to be an issue anymore, right? ;) Take care! I totally agree:D OPI brush IS the best and the formula is great most of the time like you said;p No streaks with this type of colour is so rare. I love this colour! I was just wearing it the other day! Is the color somehow connected to the Kate Middleton's blue engagement dress? :D It always reminds me of that. Thank you everybody for your sweet comments! @Ivana: Hahah, you've been paying attention! :D I just had a look at the two, they're pretty close! Chuck is a tad lighter and more purple. I'll try to do a comparison soon, and I'll also include Diamond Cosmetics, since that one is pretty much a Chuck-dupe. I really like this colour. I saw it at the wholesalers last weekend and bought it, but I haven't had a chance to try it properly on all nails yet. Love reading about seduction tips. Good stuff!